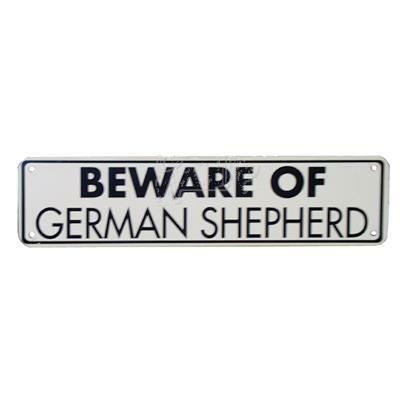 Let people know that you have a German Shepherd in your yard, and that they should BEWARE with this sign made of heavy duty vinyl on aluminum. Aluminum is the standard material used for our outdoor signs as it will never rust. All highway departments across the country use aluminum for their road signs. Steel will rust and plastic will crack, warp, fade and break in just a few months. These signs are meant to last! Great for outdoor and indoor use! Measures 12 inches by 3 inches.